When Meg, a promising young scientist, meets Miriam, a biology professor with a devout belief in God, Meg finds her atheism challenged in new ways. As she and Miriam build a friendship, Meg begins to come to grips with the limitations of science and with events in her own life that have shaped her atheism. When she finally understands that science cannot be used to justify disbelief, Meg's intellectual honesty compels her to examine the question of God afresh. But with her first steps of faith come new challenges, including complications in her budding romance with a fellow graduate student. When faced with an unexpected blow, will Meg emerge as a person of faith or be plunged back into disbelief? 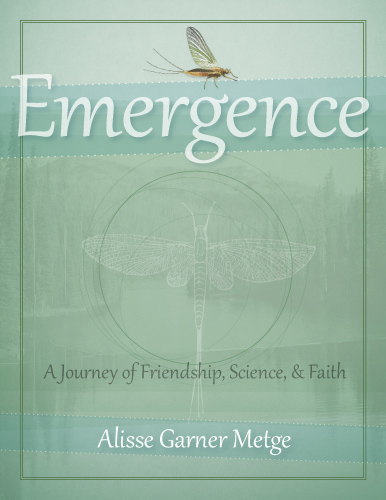 This novel tackles issues at the science-religion interface and explores, through the story of Meg and her mentor, how science and faith can be compatible. It does not shy away from difficult issues but addresses them squarely from the standpoint of faithful belief and honest inquiry. Alisse's sister, Kristen McKendry, is an accomplished author. Please visit her site here.